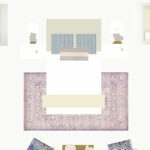 Time is flying and we are already down to 1 week left in the One Room Challenge. 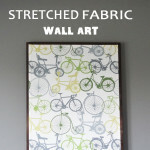 I am feeling the stretch to get two rooms completed so I am going to keep it short today to ensure I can get them both done! 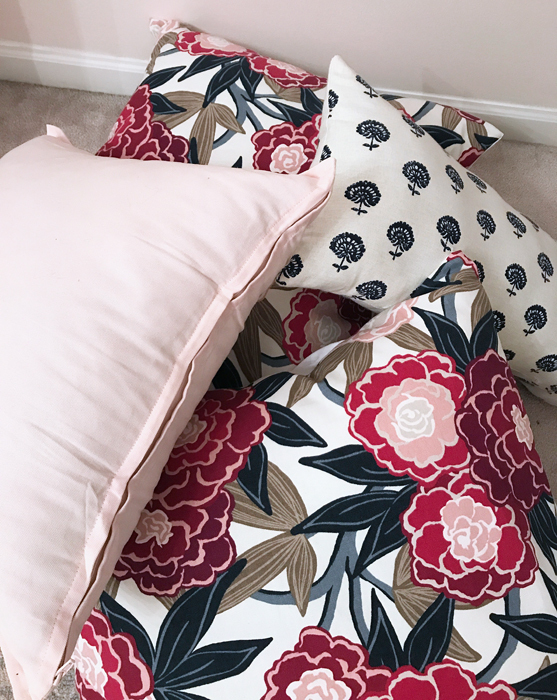 This past week I’ve been at the sewing machine quite a bit sewing up decorative pillow covers for the master bedroom and for my daughter’s room. 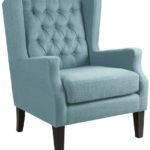 I also received the chairs I ordered from Amazon this week (you can get them HERE, affiliate link). 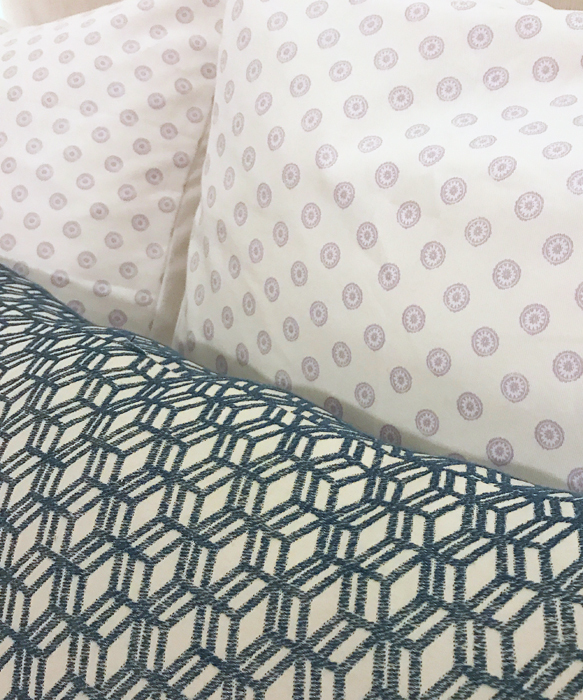 I bought two for my bedroom for only $180 each (which includes shipping)! 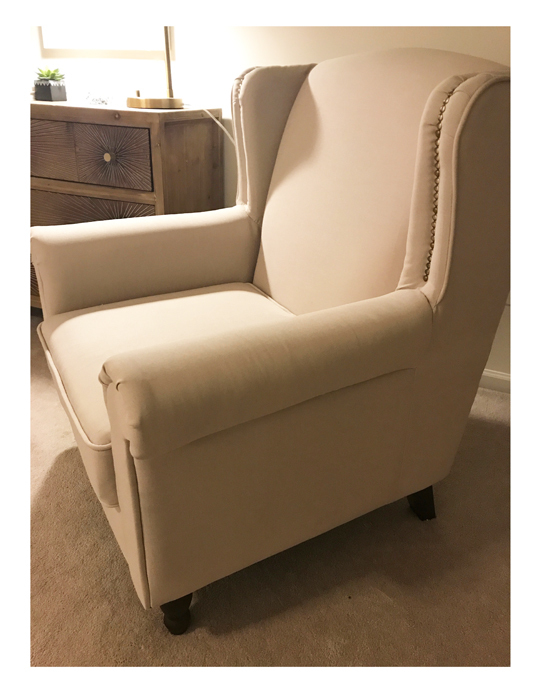 It is always a little nerve-wracking buying something like a chair online when you can’t sit in it and try it out. Thankfully I’m really happy with them. They look so much more expensive and although I would only rate them a 3.5 out of 5 for comfort (5 out of 5 for looks) I think that they will get more comfortable with time (sorry for the bad phone picture below). 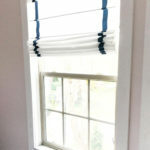 Also in my room I was able to install trim around all three window and buy woven shades for them. 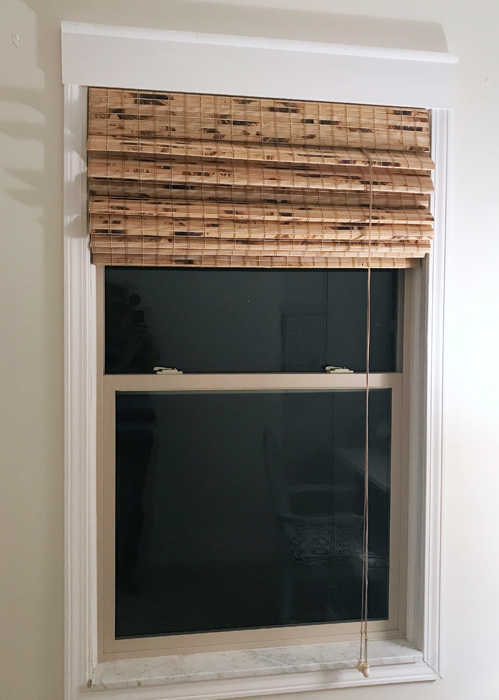 I went with the Levolor woven shades at Lowes that you can get cut to the exact width of your window. Although my windows are suppose to be 35 inches wide they are more like 34.5. These custom cut shades are more than I’d like to spend but really are a fair price at $62 per shade. 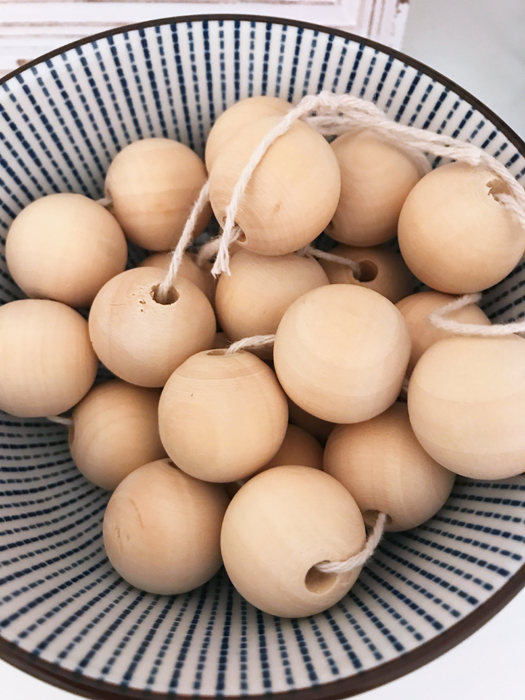 In my daughter’s room this week I painted her chandelier white and added these natural-toned, large wood beads (affiliate link) around the chain to give it a more custom coastal vibe. 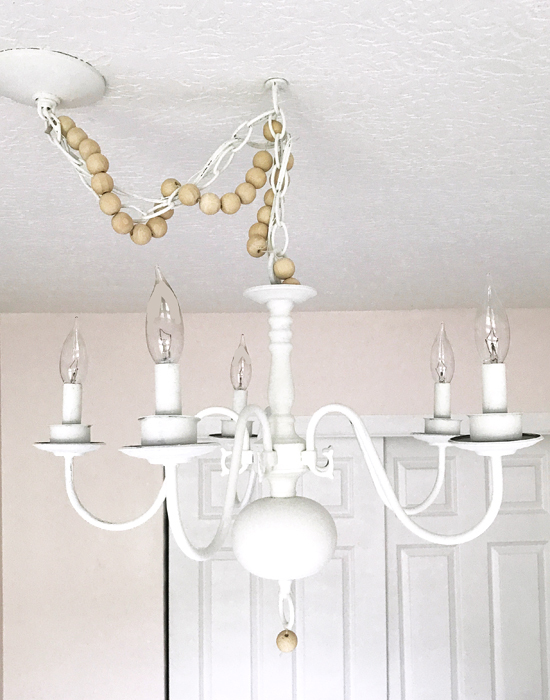 The chandelier was originally brass. I bought it off of Craigslist for $7 years ago. I had spray painted it silver but this time since it was already installed I decided to paint it with a brush. 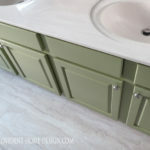 I simply used a sample size of wall paint in Benjamin Moore Swiss Coffee. It was very easy to do! 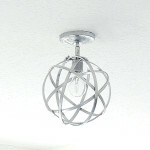 So if you ever dislike the color of a light fixture in your home consider painting it! Lastly I wanted to share a sneak peek of the bench I found at Homegoods for my daughter’s room. It will be right under her window and really can’t be any more perfect for the space! Well, that’s it for this weeks progress report! 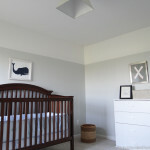 :-) I have a few things to do in each room to tie things up and then need to take pictures and write up next week’s post. Wish me luck and as always thank you so much for following!!! You can check out the progress of the other ORC guest participants, HERE! What can I say except great job! Good luck, all the way! Thanks for the sneak peak! Thanks for the encouraging words, Shelly!! ::-) All the way!